Ronald Reng’s deeply touching story of the life and death of the German national team’s goalkeeper, Robert Enke, has won the 2011 William Hill Sports Book of the Year Award. A Life Too Short: The Tragedy of Robert Enke (Yellow Jersey) was selected from a shortlist of seven titles for the honour, the richest book award of its kind with a cash prize of £23,000. The announcement was made at a reception today at Waterstone’s Piccadilly. Enke died two years ago this month when he stepped in front of an express train near his home in Germany, having suffered a history of depression. 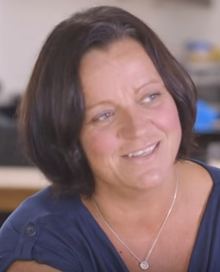 The recognition for Reng’s skilful telling of a painful story is all the more poignant for coming on a day when the headlines are dominated by the shocking news of another former footballer taking his own life, the Wales manager Gary Speed. When Enke’s death was announced, the reaction in the football world in Germany in particular was much the same as England and Wales has witnessed in the last 24 hours. Friends and supporters of Enke, who was set to be Germany’s goalkeeper at the World Cup finals in 2010, were stunned, as were the wider public, unable to comprehend why an international footballer apparently at the peak of his career should decide to take his own life. In A Life Too Short, Reng pieces together the story of a man who had also been his friend as well as his countryman, revealing much about the pressure on those who play sport at the top level and the fears with which many grapple behind a veneer of false confidence. Heartfelt, but never sentimental, Reng describes in painful details the tragedy of a talented man ultimately beaten by his own demons. Translated into English by Shaun Whiteside and published by Yellow Jersey Press in the UK earlier this autumn, it represents the first translated title to have won the prize. William Hill spokesman and co-founder of the prize, Graham Sharpe, said: "Robert Enke was one of Germany's greatest goalkeepers and his tragic death shocked the world. Ronald Reng's intimate portrait - vivid, powerful and moving - is an outstanding piece of sportswriting and a very worthy winner of the prize". John Gaustad, chairman of the judging panel, said: "It is a brilliant piece of work, understated in a sense. [The author] uses very few adjectives and tells it with great restraint and a sensitivity and dignity for its subject. It could not have been done better." The award is the second won by London-based Reng for a book about a German goalkeeper. In 2004, he won the biography prize at the British Sports Book Awards for The Keeper Of Dreams, the story of Lars Leese, who was plucked from the obscurity of reserve team football in the Bundesliga to play for Barnsley in the Premier League. The judging panel for this year’s award consisted of BBC presenter Inverdale, the much-decorated journalist Hugh McIlvanney, broadcaster Danny Kelly and columnist and author, Alyson Rudd along with chairman Gaustad, co-creator of the award and founder of the Sportspages bookshop. 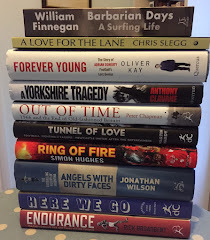 Engage : The Fall and Rise of Matt Hampson, by Paul Kimmage (Simon & Schuster); Racing Through The Dark: The Fall and Rise of David Millar, by David Millar with Jeremy Whittle (Orion) and 32 Programmes, by Dave Roberts (Bantam Press). The William Hill Sports Book of the Year Award is the world's longest established and most valuable literary sports-writing prize. As well as a £23,000 cash prize, the winning author receives a £2,000 William Hill bet, a hand-bound copy of their book, and a day at the races. Reng is the 23rd winner of the award. He received his cheque from the 2010 winner, Brian Moore.